The bodacious beans are now delivered by pedal power. Underground's Dan Brown says the spike in roasted specialty coffee sales in the CBD following the increase in businesses and residents back in the city saw Underground Coffee Roasters wanting to streamline the online purchase and delivery process. 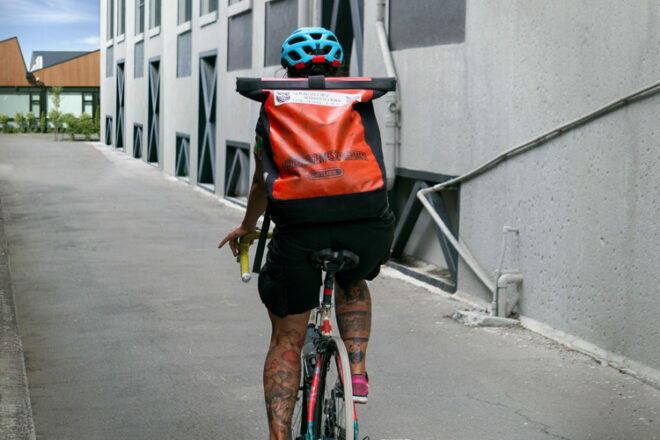 "We could add some efficiency in terms of inner city deliveries through our bike courier relationship with Sofi at Geronimo", says Dan. "With road cones still dotting the inner boroughs, 9 times our of 10 Sofi finds the quickest route to your door on her bicycle, and the low carbon footprint was also a key drawcard for us." The same-day delivery service is free for all internet coffee bean orders of 500g and more in post codes 8011, 8013 and 8014.